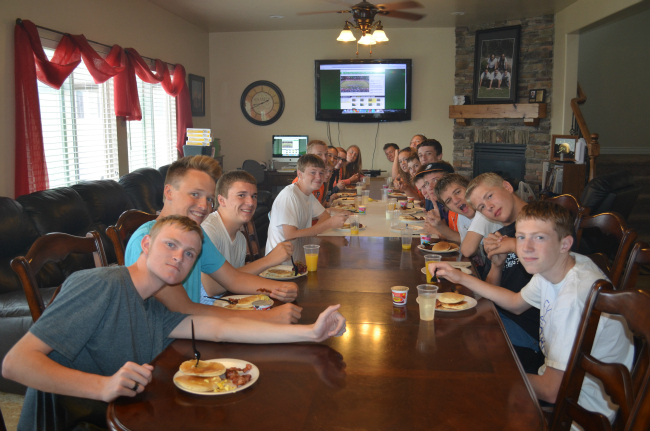 The whole trumpet section came over to eat breakfast and watch DCI (drum corps international) shows! We had more than 3/4 of the section there. It was so much fun! 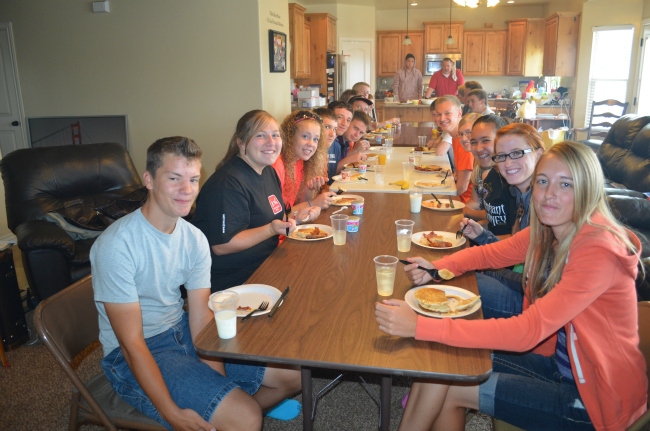 We ate lots of pancakes, eggs, fruit, and bacon! There were seven packages of bacon at the beginning, and none at the end. I guess that's what happens when you have mostly guys in your section. 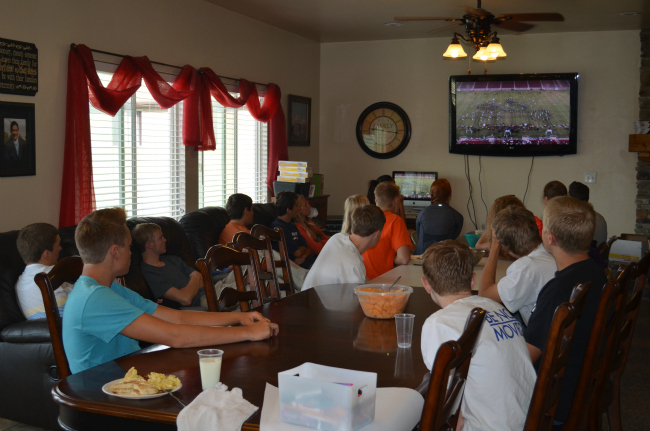 We finished eating and watched lots of DCI shows. We watched Peter in Phantom Regiment, of course! Some of our favorites are Cadets in 2011, Phantom Regiment in 2008, and Cadets in 2010. They are such good shows! After that party ended, I was able to relax until the next party that evening! We had lots of Pete's friends over to watch his show and talk him on the phone. Since all of them are leaving on their missions before he gets home, we wanted them to be able to see his show and have a good time together. 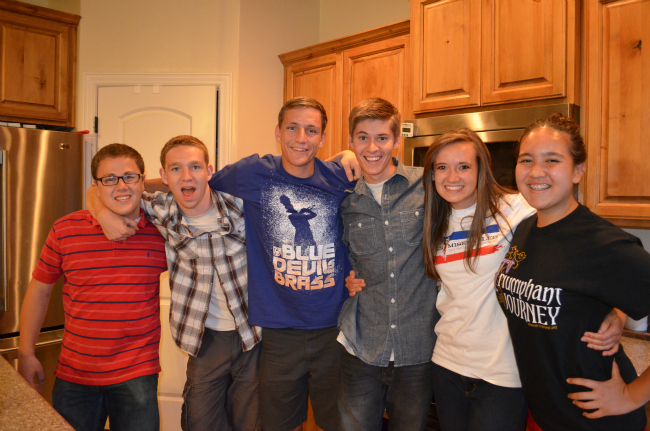 It was really fun to see all of them again! It was kind of a bummer that Peter wasn't there, but he was there in our hearts!